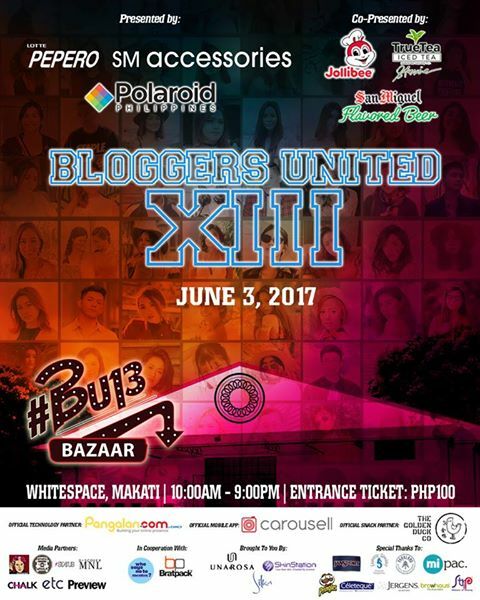 June 3 marked the day that I first attended Bloggers United Philippines. Yup, until then, I have been hiding under a rock and doesn't even know that this stuff exists. And exists it does for already 13 years. Bloggers United is an organized event for bloggers by bloggers. They have set up bazaars, mini-seminars, and giveaways so that old time popular bloggers can interact and eventually build up start-up bloggers. I must admit though that I always have hesitations attending this kind of events. For one, I am not a people person, and huge crowds of people stress me out. But what I saw here is just evidence that my country is still blooming with professional bloggers and even wanna-be bloggers who are at a lost in finding their own niche. Unfortunately, I wasn't able to stay there the whole day to wait for them. But from what I saw from people's social media posts, they had a blast with the meet and greet. I did end up buying a couple of shades from Kryz Uy's stall for only less than P500, which is such a huge deal for me! Next year, I promise I'll take more in this kinds of events.